Former Young Lawyers Division President Melanie Griffin and President-elect Gordon J. Glover present a $10,000 check to Foundation Executive Director Bruce B. Blackwell. The Young Lawyers Division has contributed more than $210,000 to the Foundation in three years. In the past three years, Florida Bar sections and divisions have contributed more than $660,000 to The Florida Bar Foundation. 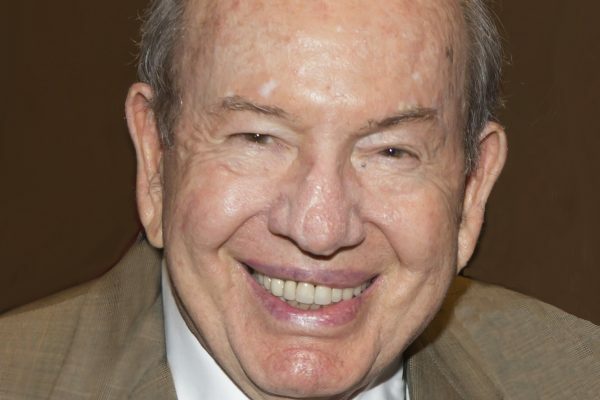 Some of their most recent gifts were announced at The Florida Bar’s Annual Convention in June. 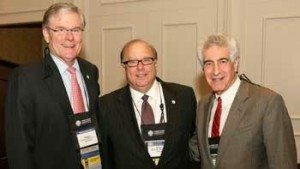 Judge William A. VanNortwick, 2014-15 Business Law Section Chair, with Foundation Executive Director Bruce B. Blackwell and 2013-14 Business Law Section Chair Stephen Nagin at The Florida Bar Annual Convention. 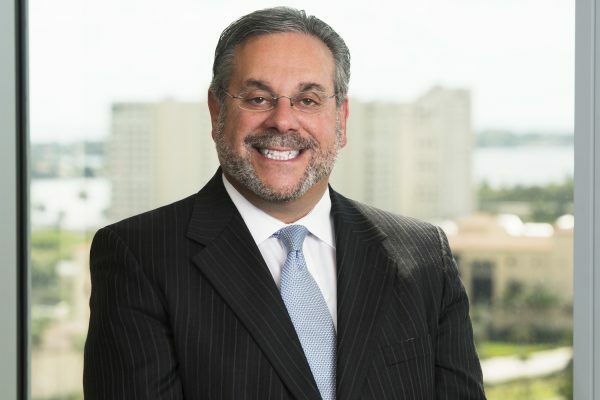 The Florida Bar Business Law Section has made a $50,000 gift to The Florida Bar Foundation to help the organization through the current period of reduced revenue from Florida’s Interest on Trust Accounts Program. In recent years a number of Bar sections and divisions have donated funds from their reserves to the Foundation, which has helped soften the cuts in grants to legal aid organizations throughout the state as the Foundation’s once-healthy reserve has begun nearing depletion. 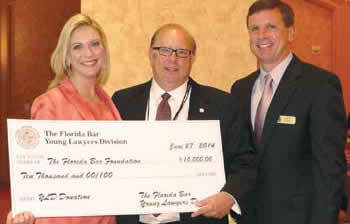 The Florida Bar Trial Lawyers Section has made its second gift to the Foundation in 2014, adding $25,000 to its initial $50,000 gift. 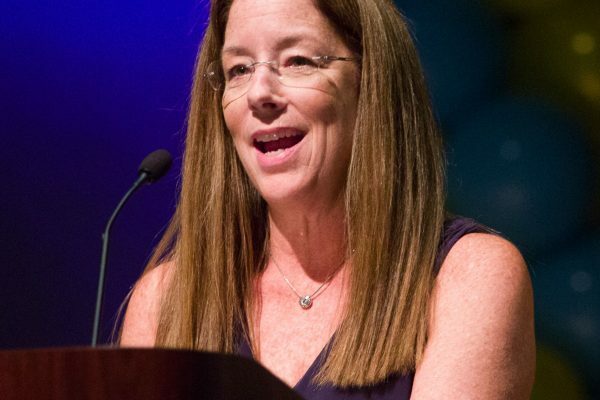 The Section was the first of several Florida Bar sections and divisions to come forward with a major gift when the Foundation had to begin reducing its funding to legal aid grantees after extremely low interest rates cut sharply into the income earned through Florida’s Interest on Trust Accounts (IOTA) Program. With total giving for the year of $75,000, the Section has now contributed a total of $225,000 in three years.